A primary key is used to uniquely identify each record in the table. Each table must have at least one primary key. To define a primary key in SQL server, you would simply need to use the keywords ‘Primary Key’ after the column’s name. A column with a unique key constraint can only contain unique values – this is the result of the unique key prohibiting duplicate values to be stored inside a column. To define a unique key, you have to append ‘Unique’ to the name of the field. Please keep in mind that it’s not mandatory to have a Unique key in a table. The following script creates a ‘Test’ database which contains one table called ‘Cars’. This table will have a primary key column named ‘ID’ and a unique key column named ‘NumberPlate’. Before we talk about the differences, let’s first look at the similarities between primary and unique keys. Columns with primary or unique keys cannot have duplicate values. The error clearly says that this statement violates the primary key constraint and that duplicate values cannot be inserted into the primary key column. Since both primary key and unique columns do not accept duplicate values, they can be used for uniquely identifying a record in the table. This means that, for each value in the primary or unique key column, only one record will be returned. Now that we understand the similarities between primary and unique keys, let’s take a look at their differences. A table can only have one primary key, but multiple unique keys. The following example will help us understand this better. This error message clearly informs us that a table cannot have multiple primary key constraints. This allows us to add unique key constraints on the ‘NumberPlate’ and ‘Model’ columns. 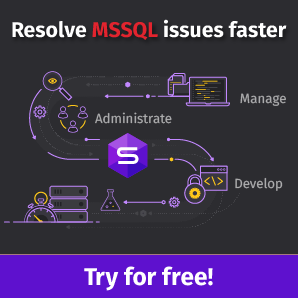 Since a table can have multiple columns with unique key constraints, you will not see any error messages when executing the above script. The primary key column cannot have null values while the Unique Key column can have one null value. The error tells us that a null value cannot be inserted as the primary key column doesn’t allow null values. 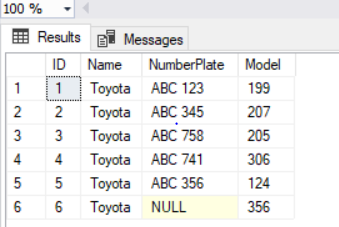 This adds a new record with an ID value of 6 and null value to the ‘Cars’ table – specifically, the null value is assigned to the ‘NumberPlate’ column. You will see that the above script will execute be executed without errors since the unique key column can accept null values by default. In the result set above, we can clearly see that the primary key column ‘ID’ doesn’t contain any null values. On the other hand, the ‘NumberPlate’ column with a unique key constraint does contain a null value that we just inserted. Remember, you cannot add more than one null value to a unique key column since the second null value will be the duplicate of the first one – and duplicates are not allowed. By default, a unique clustered index is created on the primary key column; on the other hand, a unique non-clustered index is created on the unique key column. From the figure above, you can see that the ‘NumberPlate’ column has a non-clustered unique index while the ID column has clustered unique index. Despite a few basic similarities, primary and unique keys have significant differences. You can only have one primary key per table, but multiple unique keys. Similarly, a primary key column doesn’t accept null values, while unique key columns can contain one null value each. And finally, the primary key column has a unique clustered index while a unique key column has a unique non-clustered index. Ben Richardson runs Acuity Training. Acuity is an IT training business offering classroom courses in London and Guildford. It is a leading provider of SQL training the UK and offers a full range of SQL training from introductory training to advanced administration courses.